CMS Cepcor® stocks a wide range of replacement crusher wear parts to suit the Metso® Nordberg GP and Lokomo G cone range of cone crushers. We have re-engineered a large inventory of precision machined replacement crusher spare parts including upper frames, lower frames, mainshaft assemblies, spider rocker bearings, seals, eccentric bushings, protection bushings, gears, countershafts and more, we can support your entire machine for mechanical spare parts. The CMS Cepcor® product range of premium aftermarket manganese steel wear parts includes stocks of bowl liners and mantles in M14, M18 and M21 Manganese steel grades. 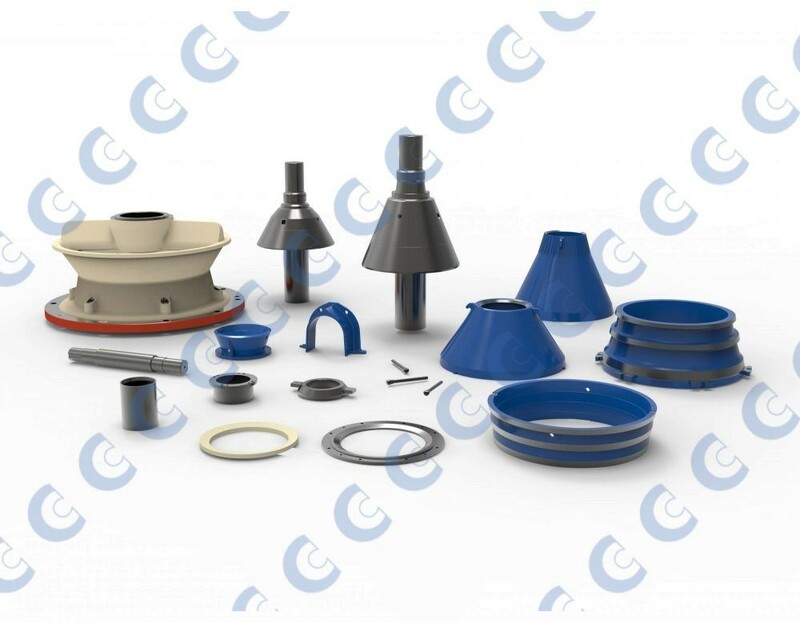 CMS Cepcor® premium aftermarket manganese wear parts to suit GP and G-cone crushers are proven in mining and aggregate production worldwide, offering genuine life cost savings. All CMS Cepcor® compatible parts to suit Metso Nordberg GP cone crushers are manufactured and warranted by CMS Cepcor®.